I just love hummus. It is one of my absolute favorite appetizer and snack recipes. Serves about 8 to 10 as an appetizer. This is such a fabulously healthy recipe. 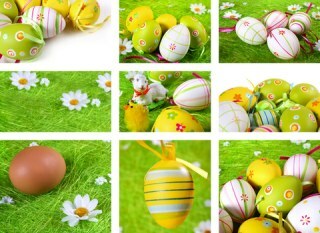 Each ingredient in it has tremendous health benefits. 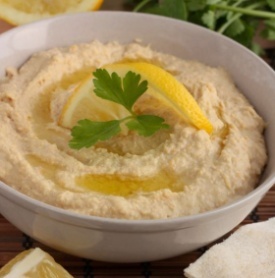 This delicious hummus recipe is perfect for so many specialized diets. It is great as a diabetic recipe, in moderation as the chick peas are a higher carb food. It is also gluten free so perfect for those on gluten free diets. Look here for tips on roasting garlic. 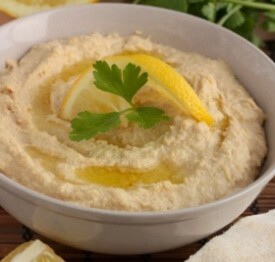 Find another hummus recipe here.